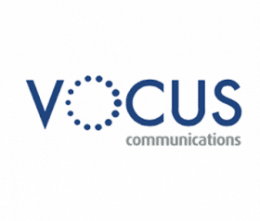 Vocus Communications is a leading business telecommunications provider of Data Networks, Internet, Data Centre, Unified Communications, Dark Fibre and International Internet connectivity across Australia, NZ, Singapore and the US. With over 21,000 km of fibre optic cable laid and operational throughout Australia, over 5,000 buildings already connected to the Vocus Network and a further 20,000 buildings available for quick connection, Vocus is built to provide high performance, high availability, and highly scalable communications solutions that are built for business. After years of working within Australia’s telecommunications industry, Vocus realised there was a better way. Their mission was to create a telco for people like us. So now Vocus builds, owns and manages their own national fibre network. They innovate to deliver awesome services and products with a team that treats customers the way we want to be treated. Call 1300 IT ASSIST (1300 482 774) today if you would like to discuss how your organisation can benefit from Vocus technology. Alternatively, email itassist@moncrieff.com.au.